Operations – Strategic Oil and Gas Ltd.
Strategic Oil & Gas is committed to building a premier oil company through the development of its concentrated land and reserve base, and the integration of its wholly owned and operated sales infrastructure. Over the past five years, the Company has built a 350,000+ net acre position in Northern Canada. The infrastructure and acreage assets provide Strategic Oil & Gas with long term growth operations that have the potential to be repeatable, scalable, and profitable. For more details on our asset position, please see our most recent corporate presentation. 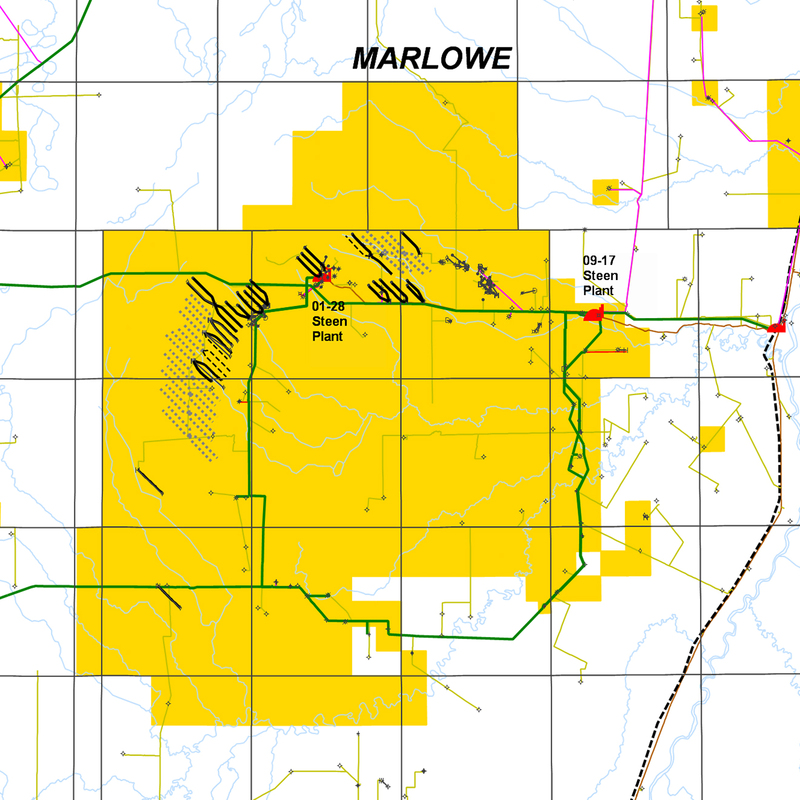 The Marlowe area assets are located in northwestern Alberta, approximately 100 km north of the town of High Level, Alberta and include the Dizzy, Jackpot, Lessard and Ratz prospects. Strategic is the operator in this area with 100% working interest in the acreage. The field currently produces 34 degree API oil from the Sulphur Point, Muskeg Stack and Keg River and gas from the Slave Point, Sulphur Point, Muskeg Stack and Keg River zones. All production is pipelined to 100% Strategic-owned processing facilities that include a sour service natural gas plant rated to 40 mmcf/d and fluid handling and treating facilities for oil production. Gas sales are directly tied into the Nova pipeline system at the plant gate. Oil sales are connected to the Rainbow pipeline system via a Company-owned oil sales pipeline completed in March 2014. Produced water and acid gas are both disposed of into a water disposal scheme and an acid gas injection scheme. Strategic is the 100% owner and operator of 2 sour gas plants and 2 oil batteries. These facilities provide Strategic with ample capacity to process fluids, water, and raw natural gas from its fields. Strategic is also the 100% owner and operator of 500km+ of pipeline infrastructure. Processing facilities are tied into an extensive gathering system that carries products from pipeline-connected wells to facilities for processing. 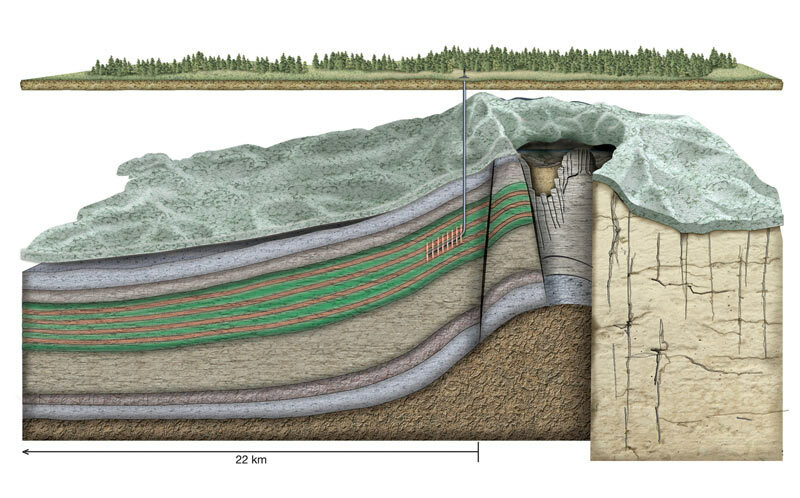 Processed light oil is pipeline-connected to sales points via 100km+ of Strategic owned and operated sales pipeline while processed gas is directly connected to TransCanada’s NGTL system. Processed light oil can alternatively reach sales destinations via truck and/or rail. Strategic owns, operates, and maintains 50+ km of high grade roads that provide all season access to its facilities, pipeline connections, and well sites. Roads are maintained year-round and Strategic continues to expand this network as the Muskeg resource is further delineated. Our road network is also highway-connected for ease-of-access by well and facilities services.